Milliea, who doesn’t remember the officer’s name, said the officer mentioned “the big guy,” meaning New Brunswick Premier David Alward, and an online comment Milliea made on a Facebook group. 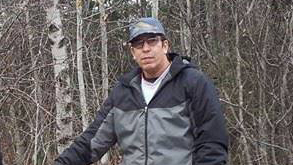 Milliea said he can no longer find the Facebook comment, but remembers it called for a protest during New Brunswick Day celebration scheduled for Monday in Cocagne, NB. New Brunswick RCMP spokesperson Const. Julie Rogers-Marsh said the RCMP couldn’t confirm or deny private conversations between members of the public and RCMP investigators. SWN Resources Canada, which is headquartered in Houston, is currently exploring for shale gas deposits in the province and is expected to begin using exploratory wells by this fall. Milliea said the conversation lasted about five minutes and the officer left after he was told there would be no violent protests. Heavily armed and camouflaged-clad RCMP tactical officers raided a Mi’kmaq Warrior Society-anchored anti-fracking camp on Oct. 17, 2013. The camp was blocking a compound holding shale gas exploration vehicles. The raid triggered day-long clashes between RCMP officers, Elsipogtog residents and supporters from surrounding Acadian and Anglophone communities. The RCMP arrested 40 people and several police vehicles were torched that day. The RCMP seized hunting rifles, ammunition and crude explosive devices. Two Warrior Society members were sentenced to 15 months this week in connection to the Oct. 17 raid. RCMP investigators are still searching for the individuals responsible for torching the police vehicles. The anti-fracking protests continued into late November, repeatedly shutting down a main provincial highway. Tires were also set on fire twice on Hwy 11. Milliea said the events of Oct. 17 now overshadow any movement by Elsipogtog residents who are still concerned about the discovery of shale gas which will lead to hydraulic fracturing, or fracking. People in the Mi’kmaq community and surrounding municipalities fear fracking operations could poison the region’s water. Posted on August 1, 2014, in Oil & Gas, State Security Forces and tagged Elsipogtog First Nation, Mi’kmaq, native protests, New Brunswick shale gas protests, RCMP, RCMP and Natives, SWN Resources Canada. Bookmark the permalink. 3 Comments. Maybe it’s like in Afghanistan, where they try to pick a fight. Anyone who reacts is considered subversive. RCMP have just descended to an ALL TIME LOW!!!!!!!!!! !